Mrs. Ojeah, Joy Ogugwua was born on the 29TH September, 1959 in Delta State. She attended Agbor Girls’ Grammar School, Agbor, Delta State; Federal College of Education, Abeokuta; University of Nigeria, Nsukka in 1986 to obtain B.ED (Guidance and Counselling). She proceeded to University of Lagos, Akoka for her M.ED (Guidance and Counselling) in 1990. Mrs. Ojeah also won an award for her excellence performance as the Best Officer for the Senior Management Category for the Month of August 2009. Home Economics Teachers Association of Nigeria (HETAN). 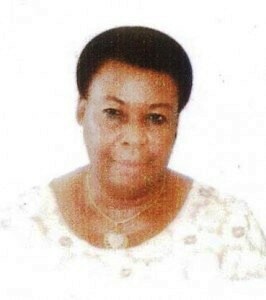 Mrs. Ojeah, Joy Ogugwua rose through the various Grade Levels to her present Grade level 17 as Director of Education and became the Head of Department of Curriculum Services Department since February, 2015 till date.